Soil pollution occurs when soil contains chemicals that are toxic or otherwise dangerous for humans and other living things. The chemicals may be foreign to the area, or they may be naturally occurring materials that pollute the soil by being present in dangerously high amounts. Soil pollution can have a number of harmful effects on human health. The harmful effects of soil pollution may come from direct contact with polluted soil or from contact with other resources, such as water, that have come in direct contact with the polluted soil. The presence of heavy metals in soil in toxic amounts can cause irreversible developmental damage in children, according to the website Tropical Rainforest Animals. Although lead and mercury may be found naturally in soil, high concentrations of either metal may cause damage to the developing brains of young children, which in turn may lead to neurological problems. Humans of any age may also suffer kidney or liver damage from exposure to excessive mercury in soil. Soil that is not significantly polluted may still harm humans indirectly, according to Pollution Issues. One way such soil pollution can harm humans is by bioaccumulation. Plants that are grown in lightly polluted soil continuously absorb molecules of the pollutants. Since the plants cannot get rid of these molecules, they accumulate in the plant, causing higher amounts of pollution to exist in the plant than in the soil. Animals who eat many of these polluted plants take on all the pollution those plants have accumulated. Larger animals who eat the plant-eating animals take on all the pollution from the animals they eat. Humans who eat plants or animals that have accumulated large amounts of soil pollutants may be poisoned, even if the soil itself does not contain enough pollution to harm human health. Many common soil pollutants are carcinogenic, or cancer-causing. According to the U.S. Environmental Protection Agency, humans who are exposed to these pollutants are far more likely to develop cancer than humans who are not exposed to them. For example, regular exposure to benzene is known to cause leukemia in both children and adults. Exposure to polychlorinated biphenyls (PCBs) is linked to liver cancer. 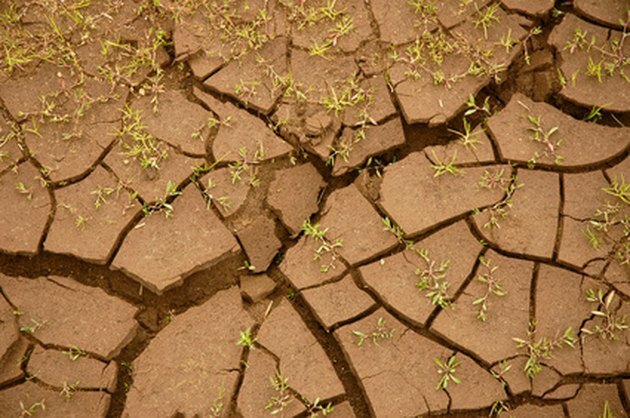 In addition to endangering human health, soil pollution can also cause economic damage. For example, in some parts of China, soil that is polluted with heavy metals is nevertheless used to grow grain. The grain grown in these soils is often polluted with heavy metals. According to China Dialogue, an estimated 12 million tons of polluted grain must be disposed of each year, costing Chinese farmers up to 20 billion yuan, or about $2.57 billion U.S.
China Dialogue: Facing Up to "Invisible Pollution"